EzyDog launched its’ presence into the pet industry with water sports inspired leashes, collars and harnesses. The iconic Cujo Leash really displays the water sports’ roots with the waterski handle built with molded EVA for a comfortable grip that is unsurpassed. The pyramid handle provides control ensuring that your hand will never be pinched as it can be with a more traditional handle. 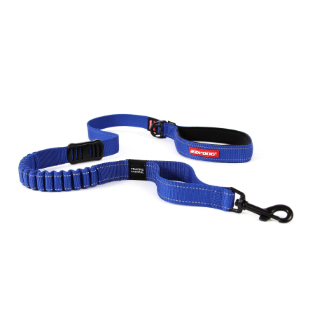 The polypropylene waterski rope with a bungee tucked inside creates a super strong leash with flexibility that absorbs the sudden jolts and pulls from your dog. 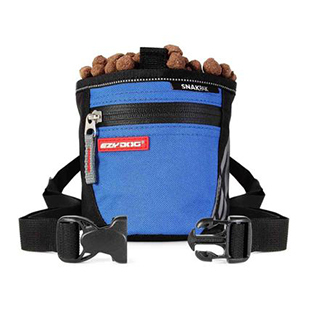 This is the Original Shock Absorbing Leash. Many have come and gone, but the Original still provides a cushion that is legendary. Based on the Cujo the Mongrel, Mutley and Couplers and Extensions were derived. All of these are reflective and the Couplers and Extensions when added to an EzyDog Leash provide tangle-free double dog walking. The tangle-free feature is another no fuss solution that makes walking your dogs a breeze. Combine this with the shock absorbing dog leashes and you will see why these leashes are classics. Check out these classics for your dog and you will see for yourself what your dog walks have been missing!